A description for this product has not been set. For golfers who want to improve their shot-making consistency, the easy-to-use TruSwing sensor provides the accurate metrics needed to identify and correct any faulty swing mechanics. Pair TruSwing with your compatible Approach series golf device and Garmin Connect. You’ll see how these metrics help you improve when you join the Garmin Connect online golf community. There, you can upload and analyze your results — and even compare them against your previous practice session. You can also use Garmin connect mobile app with your compatible smartphone to instantly share and discuss your metrics online with your golf pro or other friends and advisors. 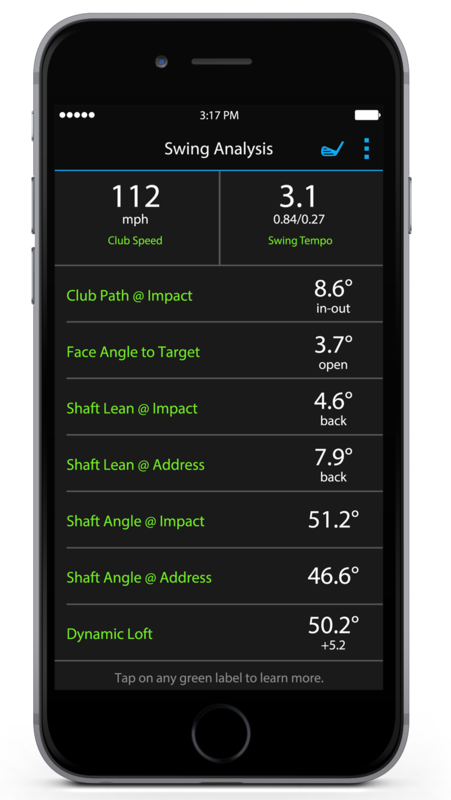 TruSwing sensor gives you real-time, 3-D swing animations on the app, including comparisons between 2 swings, overlaid on each other, to give you instant feedback during practice sessions. Analysis on Garmin Connect allows you to identify exactly where you can make changes. For example, by altering the combination of clubface angle and clubhead-path angle, you can make significant changes to your ball’s flight pattern. TruSwing sensor is the only swing analysis tool that can interface with Garmin GPS golf devices. You’ll get convenient, at-a-glance data displays on Approach S4, S5, S6, S20 and x40 watches as well as on Approach G7 and G8 handhelds. That means you can use the sensor during a round, even if you don’t want to carry your smartphone.